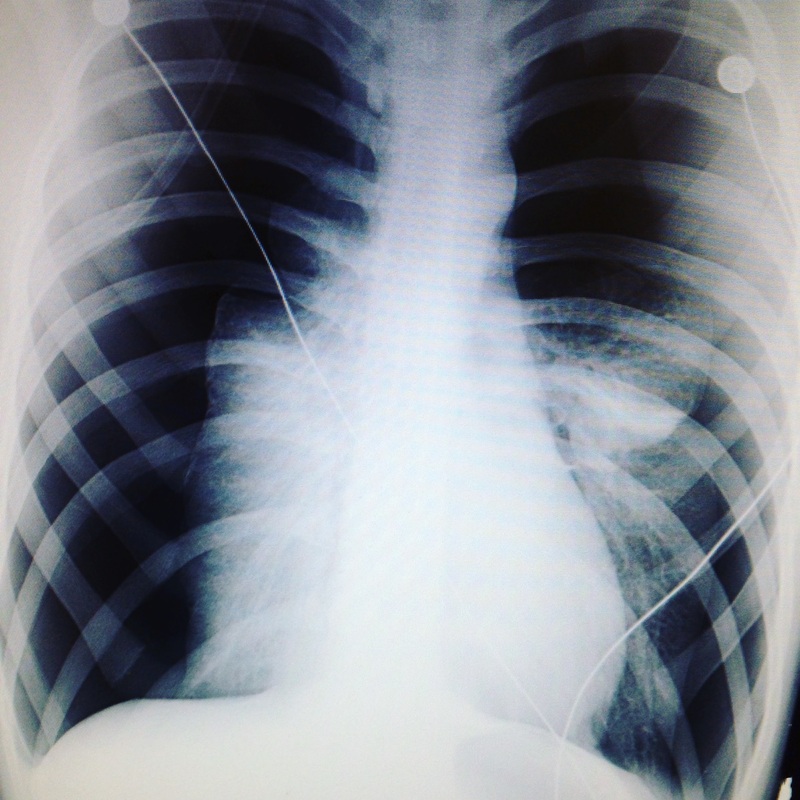 This is an x-ray of my chest that day. Both my lungs collapsed to a very dangerous level - the small white parts either side of my spine are my lungs, the black space in the rest of the image is the pneumothorax. It really did nearly kill me. Thankfully, it wasn't my time. I got better (after 2 surgeries and many, many chest drains), it got me off cigarettes and I've gone on to marry a wonderful woman and have an amazing son. Seeing this was a great reminder to take stock of what could have been and everything I could have missed out on.